CPS has just installed one of their most innovative lecture theatres, embracing a new design concept. 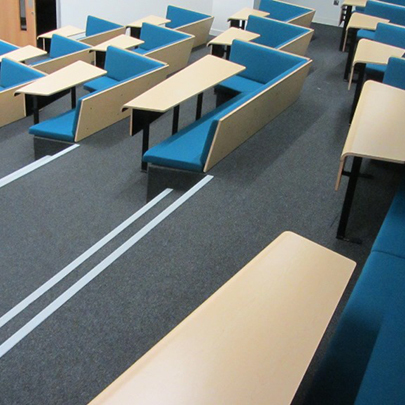 The lecture theatre incorporated the newly developed CPS bench seating system and was arranged in a way that the university could implement cutting-edge collaborative learning styles. 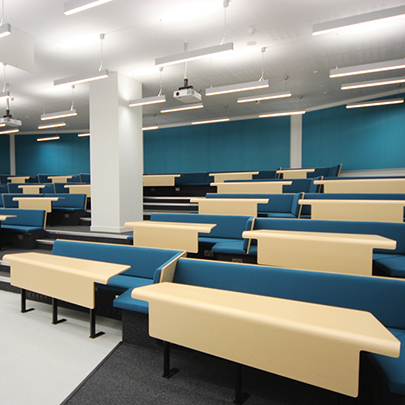 The seating format is specifically designed so that the students can work and collaborate together during the teaching/lecture sessions. 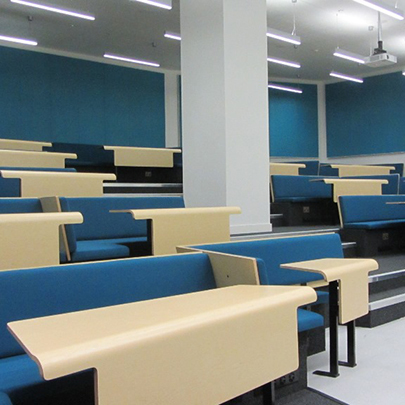 CPS designed the new bench specially for the project and also the curved desking design was a new concept for the university, and the installation is now one of their most prestigious lecture theatres. The new bench seating system is very versatile and will adapt to many different applications.